Fifth in a series of season previews: Playwright Jerry Sterner’s comic spin on a ruthless business takeover will share Shattered Globe’s schedule with a prison drama and a soul-searching tragedy. “It’s a romance at the center of a play that has some teeth,” says Shattered Globe artistic director Roger Smart of this wry drama, which opened in New York in 1989 and then became a hit movie in 1991 starring Danny DeVito and Gregory Peck. That sort of provocative mix is the engine that drives Shattered Globe, says Smart. And therein lies the essence of the company’s intriguing name. “Other People’s Money” by Jerry Sterner (Sept. 5-Oct. 19): Exploring the scurrilous and duplicitous side of business entrepreneurship, as a small company faces a hostile takeover at the hands of a ruthless businessman, “Other People’s Money” offers an up-close portrait of oily, conniving and yet strangely appealing “takeover artist” Lawrence Garfinkle, who will let nothing stop him from gaining control of New England Wire and Cable. At once corporate critique and romantic comedy, Sterner’s play taps into the manipulation, greed and perhaps unexpected humanity of the business world. “While ‘Other People’s Money’ doesn’t address the collapse of banking,” says Smart, “it takes a hard look at the mentality of a man whose driving desire is to make money, and who’s willing to decimate a community to achieve his purpose. In that regard, the plays is very relevant today.” Directing will be Dennis Zacek, artistic director emeritus of Victory Gardens. All three of Shattered Globe’s 2013-14 productions will be presented at Theatre Wit, 1229 W. Belmont Ave., in the Lakeview neighborhood. It’s an easy 10-minute walk from the Belmont stop on the Red Line. Photo captions and credits: Home page and top: That sly Ben Franklin is the entrepreneur’s best friend. 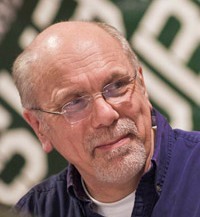 Descending: Shattered Globe artistic director Roger Smart. 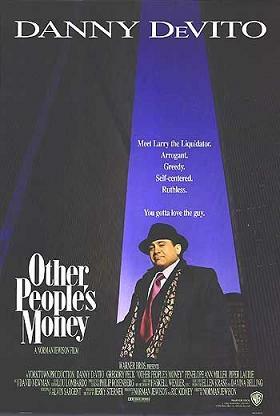 Poster for the 1991 film “Other People’s Money” starring Danny DeVito. 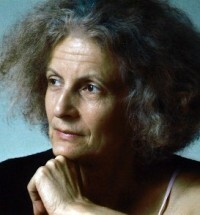 Playwright Timberlake Wertenbaker. 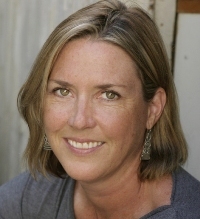 Playwright Sally Nemeth. 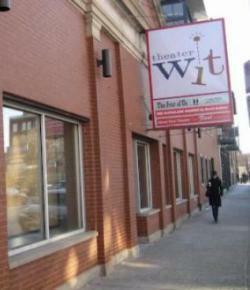 Theatre Wit, where Shattered Globe will present its 2013-14 season.